Jeanne Kuntz created Teaching Wellness as a vehicle for helping people achieve better health and vitality at the personal, community, and global level. She recognizes that this is not a one-size-fits-all world, and is passionate about helping her clients find their own personal pathway to wellness. In her own life and the lives of her clients, she has discovered that when we combine awareness with the right action steps, lasting positive changes are not only possible, but inevitable. 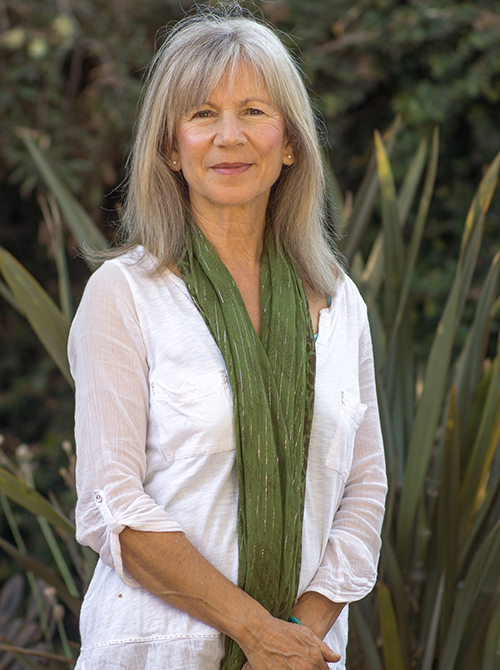 Jeanne began practicing yoga at the age of 10 to address insomnia and hyperactivity. Her interests expanded to include nutrition, meditation, cooking, and community activism. Her own favorite hobbies include biking, crafting, organic vegetable gardening, playing Scrabble, cooking, and relaxing with her husband, three children and dog, Mini. On Sundays, she can often be found, at the Mar Vista Farmer’s Market "Green Booth" conspiring with her fellow MVCC Green Committee members to make sustainability more accessible for everyone. Teaching sustainable wellness is one of Jeanne's greatest joys. Her belief is: "When I help others with their health and stress management issues, I know the benefits will translate into a more vibrant, positive experience of life." She feels that peronsal well-being and the health of our environmental are connected. Previously the Service Learning Coordinator at the Archer School for Girls, Jeanne recognizes the positive health benefits of volunteering. She continues to assist students in finding meaningful community service projects. "Human beings have an innate desire to create a better world, help those who are less fortunate, and care for the environment. Like a muscle that grows stronger with exercise, our capacity for compassionate action grows each time we use it."